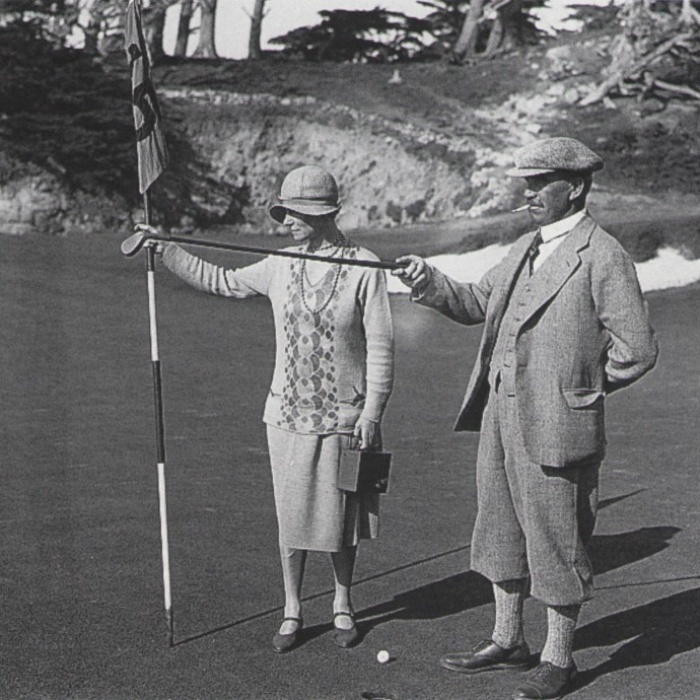 "I do not expect anyone will ever have the opportunity of constructing another course like Cypress Point as I do not suppose anywhere in the world is there such a glorious combination of rocky coast, sand dunes pine woods and cypress trees." Amongst the world of golf, few courses are as revered as Cypress Point. 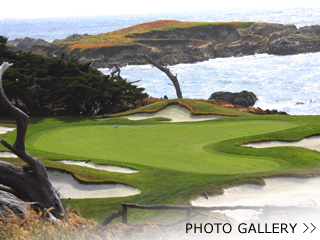 Cypress Point Golf Course was created by the well renown designer Alister Mackenzie and opened in 1928. Extraordinary and timeless, Alister Mackenzie masterpiece is consistently rated as one of the top 3 golf courses ever created by all major publications. Cypress Point offers natural beauty that is unmatched anywhere. The clandestine approach to Mackenzie's achievement is the reality that he did not over power the natural terrain, allowing the course to take shape organically. Meandering through the coastal dunes, this immaculate course journeys into the Del Monte forest during the front nine and reemerges to the rocky coastline for the best set of finishing holes of all time. The signature hole #16, which requires a 231-yard tee shot over the Pacific to a mid-sized green guarded by strategically placed bunkers, offers all the dynamics you could imagine on a majestic oceanfront par three. With the famous back-to-back par three's, #15 and #16, not to mention the spectacular par four 17th, set in the most exquisite natural location ever imagined for a course, the back-nine is truly the Holy Grail of golf. Cypress Point Club was once a co-host for the AT&T Pebble Beach National Pro-Am, formerly The Bing Crosby Tournament, last doing so in 1991. Cypress Point also hosted the only Walker Cup on California soil in 1981. Cypress is ranked #2 in Golf Magazine's list of "Top 100 Golf Courses in the World," behind Mackenzie's other masterpiece, Augusta. Cypress Point will always have its place in the upper echelon of golf history. Regarded as the most exclusive course in the world, it is virtually impossible to play a round unless you are invited by a member. The club decides the cost of yearly membership fees by equally dividing the total operating expenses amongst all members. Each member of the club is required to pay the same amount in dues, regardless of the amount of play or the number of visits to the club. 5 miles from the center of Monterey. 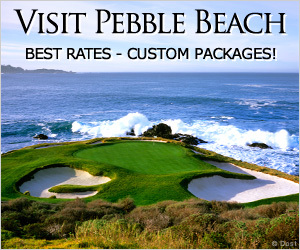 Pebble Beach®, Pebble Beach Resorts®, Pebble Beach Golf Links®, The Links at Spanish Bay™, Spyglass Hill® Golf Course, The Lone Cypress™, Del Monte Golf Course®, and their underlying distinctive images are trademarks, service marks and trade dress of Pebble Beach Company. Used by permission.